Gadwall’s Grill: Thirty years…and still counting. A Beautiful Spring Cocktail Menu Gives New Reasons to Visit Heights Taco & Tamale Co. If you missed it last week, the folks at Rebel Kettle Brewing Company unveiled plans for the brewery’s first anniversary celebration. Called “Beer and Loathing in Little Rock,” the one-year anniversary celebration will be held April 1 on Collins Street in front of the taproom. Rebel Kettle will be hosting plenty of local food trucks as well as preparing a whole hog roast. In addition, the brewery will have a barrel-aged booth with some of its more popular aged brews from its first year. There will also be live music and events for the kids. Admission is free, but you can get an all-you-can-eat ticket to the hog roast for $30. By the way, Rebel Kettle has a new release for 4:30 Thursday this week. It’s the Purple DinoSour, a boysenberry sour ale. It’s a golden sour aged on tart boysenberries that promises to make you pucker up. The Broadway Bridge is now open, meaning it’s a lot easier to reach our favorite North Little Rock breweries. Core Public House in Argenta is giving everyone a reason to cross the river with its new happy hour. Every weekday from 4 p.m. until 6 p.m., Core is offering all pints of non-imperial beer for $3. This special is available at all Core locations, both here and in Northwest Arkansas. Flyway Brewing this week will be releasing its Imperial Red Velvet Ale. While I enjoyed last year’s version, owner Jess McMullen tells me this one comes closer to his idea for the cake series. It will certainly be worth checking out. By the way, Flyway still has a good amount of its Belgian Raspberry Ale on tap. It’s a 6.8 percent ABV ale with plenty sweet and sour notes. Many of Lost Forty Brewing’s Freshcut Monday releases have been variations on its staple Day Drinker Belgian Blonde Ale. This Monday continues that trend with the release of Whole Fruit Day Drinker, featuring strawberries, raspberries and peaches. All that fresh fruit means this isn’t a beer that you can wait around for. It will only be available today in the taproom. No growlers, crowlers or cans of this one will be sold. Do you have some beer news you would like to share with us? 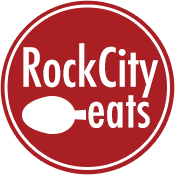 Email me at steve@rockcityeats.com. A long-time foodie, Steve started his career as a news producer with FOX16 News. 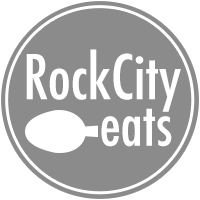 In addition to his work on Rock City Eats, Steve is the host of the Little Rock Foodcast, a podcast covering Little Rock food. He has also served as food writer for Sync Weekly. Steve and his family have lived in the Little Rock area for 10 years.